Interacting with Print. QR Codes Meet Digital Print. While printed pieces have many benefits, the web has advantages for supporting a wealth of information at a low price. To get the best of both worlds, marketers use solutions like quick response (QR) codes to combine tangible printed items and informative web pages. In part one of this two-part series, we discuss the uses and benefits of QR codes. Based on barcode technology, QR codes are printed onto applications to store URLs or other information using a camera or smartphone. QR codes combine physical print with the limitless possibilities of the internet to create a strong marketing tool for a variety of industries including automation, consumer marketing, direct mail, manufacturing, restaurants, and retail. “Our customers use QR codes with personalization across many different industries for a variety of campaigns because it’s a strong marketing touchpoint that incentivizes the recipient to take the next step in the campaign journey,” says Josie Stein, marketing communications manager, XMPie. Wilson Zehr, CEO, Cendix/Zairmail, believes the main benefit of using QR codes is that it allows consumers to connect to complex URL codes with one scan from a smartphone application (app). “They are really inexpensive to use. There are sites that will generate QR codes for free and they are inexpensive to apply to printed materials,” he explains. The direct mail market is one of the most notable adoptees of QR codes. Direct mail is used for active marketing engagements with a targeted demographic and can reach every household and business. “There is nothing more effective than direct mail for creating awareness, establishing cognitive dissonance, and motivating purchases when a consumer may not be actively shopping for a product or service,” says Wilson. QR codes are often used as a secondary response device, especially with direct mail, due to the low cost of inclusion. By pairing QR codes with direct mail, the marketing outreach is as convenient as possible for consumers to respond. In fact, Stein says the public, especially Millennial and Xennial generations, realize marketers use QR codes appropriately with personalized incentives. “Marketers today better understand how QR codes fit within the customer journey, boosting the print component and driving a response through the other channels to continue the one-to-one conversation,” she offers. However, there is still a need for marketers to embrace online and offline tools to complement one another. According to Zehr, the deliverability rates of email are low, banner advertising is largely ineffective, and search engine marketing is only powerful if the consumer is actively looking for the product or service offered. 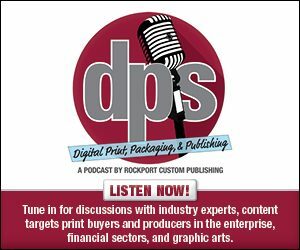 “The problem is that most print providers don’t understand how to sell solutions—especially solutions that include online components,” explains Zehr. Hybrid solutions offer a combination of online and offline resources like direct mail and QR codes. Another challenge of QR codes is that consumers need to have a smartphone to access the connecting webpage. However, Zehr says that according to Statista, consumer smartphone penetration rates are almost 70 percent in the U.S. and are projected to increase to over 80 percent in the next five years. To combat the challenges of QR codes, print providers should primarily know how to market QR codes and similar applications for the best results. Print providers should first emphasize the importance of integrating digital technology into printed pieces. “Encourage your customers to think of print as the bridge to the digital world,” explains Stein. She warns that recipients don’t want to be sent to a generic webpage, but rather be given incentives, coupons, discounts, deals, and benefits for using the QR code. Marketers need to give recipients a good reason to scan the QR code, which can be done with personalization. “Individualized campaigns help deliver engaging and effective communications,” she says. Print providers may use variable data and personalized images and video for strategic engagement. By providing personalization, marketers contribute to the overall brand. However, it’s also important that marketers deliver a consistent brand experience. “If your beautifully designed personalized print piece includes a QR code, make sure it’s not linked to an outdated online experience,” cautions Stein. Marketers should also ensure that landing page designs are responsive and mobile friendly. While QR codes are a simple and interactive way to engage customer experience and prolong marketing outreaches, there are other options that help make print interactive. DocumobiFUSE integrates with XMPie as a simple API that integrates into a brand’s mobile app and allows consumers to continue brand journeys by scanning printed collateral like brochures, billboards, packaging, photo merchandise, and gift cards. “This powerful integration between XMPie and DocumobiFUSE enables marketers to deliver memorable brand engagements by making all print and physical touch points interactive,” says Stein. XMPie also offers the PersonalEffect suite that allows users to incorporate QR codes into integrated, cross-media campaigns. The software creates and images QR codes during campaign production. “Our technology enables users to create personalized codes for each recipient, ensure the appropriate code is printed on each mail piece, and links that code to a pre-populated personalized landing page,” says Stein. Zairmail is a direct mail marketing provider that helps marketers design, target, and send mail campaigns. The company creates postcards, letters, snap packs, self mailers, and custom direct mail. Its clients include small business owners, healthcare professionals, insurance agents, large volume mailers, mortgage brokers, and real estate agents. “Zairmail is the fastest and easiest way to send mail,” says Zehr. It uses QR codes in its marketing and allows customers to use them too. According to Zehr, Cendix also offers free online solutions for clients that need help with fulfillment. QR codes allow recipients to receive better customer experiences by connecting physical print with the internet. Stein believes that as digital printing technology advances, capabilities like QR codes will open new opportunities for marketers to make print interactive and coexist cohesively with digital initiatives. In part two of this two-part series, we speak with a print provider that successfully utilizes QR codes. Click here to read part two of this exclusive online series, Quick Campaigns.